The lodge shall be known as Bob White Lodge, Georgia Carolina Council, Council No. 93, Boy Scouts of America, and shall be under the supervision of the Council Camping or Boy Scout Committee and the administrative authority of the Scout Executive. It may also be referred to as No. 87″ in honor of its original numeric designation and the long and historic traditions of this Lodge. A. The requirements for membership in this lodge are as stated in the current printing of the Order of the Arrow Handbook and the Order of the Arrow Guide for Officers and Advisers. B. The procedure for the Ordeal shall be as stated in the current printing of the Order of the Arrow Handbook and the Order of the Arrow Guide for Officers and Advisers. 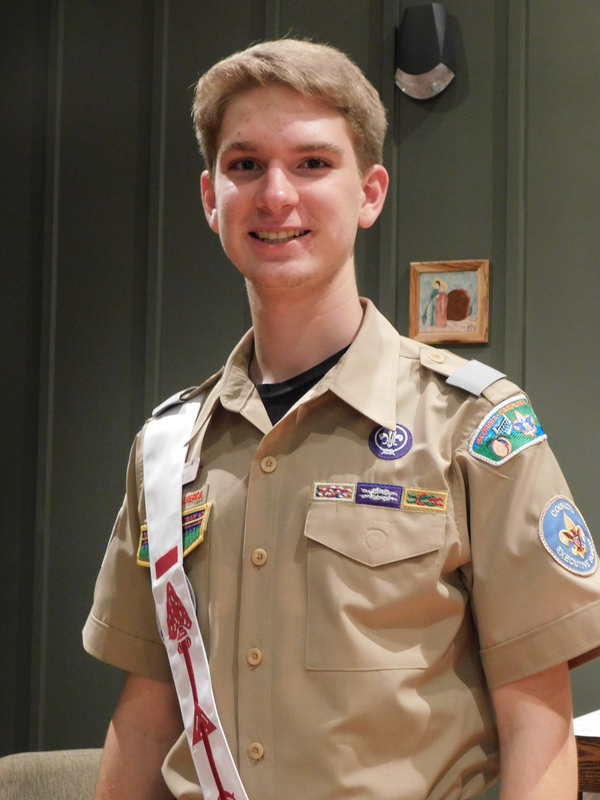 C. A member in good standing is described as who is active in the Lodge, whose current Lodge dues are paid, and who is currently registered as a member of the Boy Scouts of America within the Georgia-Carolina Council. After March 1 of each year, no Lodge member may participate in any Lodge Event until he or she has paid the current year’s dues. D. Election of Ordeal membership shall take place under the standards prepared and published annually by the Vice-Chief of Inductions and approved by the Lodge Executive Committee. The standards shall be consistent with the current printings of The Order of the Arrow Handbook and The Guide for Officers and Advisors. 5. The current Order of the Arrow Handbook. F. An Arrowman in good standing with another lodge, who moves into the area and satisfies the requirements for membership, as stated above, shall be accepted into the Bob White Lodge after receipt of appropriate transfer documentation from his or her prior lodge. The transferring Arrowman shall become active upon proof that he or she is a current dues paid member of the Lodge from where he or she transferred and upon payment of a fee equal to the registration fee charged by the National Order of the Arrow for recharter of Arrowmen. If the Arrowman is not currently registered with a Lodge, he shall pay the current year’s dues to become active in the Bob White Lodge. G. Inactive members may be restored by paying current dues, provided they meet all other requirements of active membership, as stated above. A. The officers of this lodge shall be the Lodge Chief, Vice-Chief of Administration, who shall see that the roles of the Lodge Secretary and Treasurer are performed, the Lodge Vice-Chief of Inductions, and the Lodge Vice-Chief of Program. These elected officers must be younger than 21 years of age during their entire term of office. This group shall be known as the ALodge Officers. B. The Lodge Executive Committee shall be composed of the elected Lodge Officers, immediate past Lodge Chief, all appointed Lodge Committee Chairman and their Advisers, the Lodge Adviser, a member of the Council Camping or Boy Scout Committee as appointed by the Council Vice-President of Program, the Chapter Chiefs, the Chapter Advisers, the Scout Executive and the Lodge Staff Adviser. C. The elections for elected officers shall be held at the Fall Ordeal of each year during the General Lodge Meeting. D. The terms of office for all elected officers shall begin on the first of January following their election in the fall. E. The Vice-Chief of Administration will assume all duties of the Lodge Chief in the Lodge Chief’s absence. If the Vice-Chief of Administration cannot perform these duties, the Lodge Vice Chief of Inductions shall perform those duties. If the Lodge Vice-Chief of Inductions cannot perform these duties, Lodge Vice Chief of Program shall perform these duties. If any other order of succession is necessary, it shall be set by the Lodge Executive Committee. Upon the return of the officer whom the presiding officer has replaced, the returning officer shall resume his position. F. The Vice-Chief of Administration shall become the Lodge Chief, and shall serve the remainder of the current term of office should, for any reason, the Lodge Chief not be able to fulfill his entire term of office or obligations. If for any reason, the Vice-Chief of Administration cannot fulfill the duties of Lodge Chief, then the Lodge Vice Chief of Inductions shall become Lodge Chief. If for any reason the Lodge Vice-Chief of Inductions cannot fulfill the duties of Lodge Chief, Lodge Vice Chief of Program shall become Lodge Chief. If any other order of succession is necessary, it shall be set by the Lodge Executive Committee. Notwithstanding this line of succession, an elected officer shall become Lodge Chief before an appointed Lodge Vice-Chief. G. If any elected Lodge Leadership position shall be or becomes vacant during the term of office, the Lodge Chief shall, with the concurrence of the Lodge Adviser and Staff Adviser, appoint a person to serve in that position. The appointed person shall have full powers, rights, and duties incumbent with the position. The person’s appointment shall expire at the end of the next General Lodge Meeting at which meeting a special election shall be conducted to fill the unexpired term for the appointed officer=s position. H. Any elected officer may only be removed by the Supreme Chief of the Fire with the concurrence of the Lodge Adviser and the Staff Adviser. Any appointed officer may be removed at the Lodge Chief’s discretion. I. The election of any Lodge Officer, Lodge Chief, Vice-Chief, and Chapter Chief shall be voided if they do not attend the Lodge Leadership Development Conference unless excused for good cause by the Lodge Chief in consultation with the Lodge Adviser and the Staff Adviser. The Lodge Chief may be excused for good cause by both the Lodge Adviser and Staff Adviser. J. The Lodge Officers or Key-9″ shall consist of the Lodge Chief, Lodge Vice Chief of Administration, Lodge Vice Chief of Inductions, Lodge Vice Chief of Program, and their appointed advisers. K. The Lodge Executive Committee will be the governing body of the Bob White Lodge. A quorum of a regular meeting of the Lodge Executive Committee is established by attendance of forty (40%) of the current membership of the elected lodge officers. At a specially called meeting, a quorum is established by the presence of more than fifty (50%) percent of the current membership of the elected lodge officers within the Lodge Executive Committee. L. The Lodge Executive Committee shall consist of the Lodge Officers, all appointed Lodge Committee Chairmen and their appointed Committee Advisors, the immediate Past Lodge Chief, the Lodge Advisor, the Associate Lodge Advisor, and the Staff Advisor. M. The Lodge Executive Committee may establish Standard Operating Procedures on all matters related to the Lodge which the rules and procedures are not already established by the By-Laws. Standard Operating Procedures of the Lodge may be amended by a majority vote of those present at a Lodge Executive Committee subject to approval by the Lodge Adviser and Staff Adviser on matters relating to health and safety. If any Standard Operating Procedure is in conflict with any policy, rule, guide, or regulation of the National Order of the Arrow or the Boy Scouts of America as interpreted by the Supreme Chief of the Fire or his designee, that SOP is immediately suspended upon the declaration of the Supreme Chief of the Fire or his designee. N. Each Lodge Meeting will be opened with the Obligation and be closed with the official Order of the Arrow song. A quorum of the General Lodge Meeting shall be established by the presence of ten (10%) percent of the number of youth members at the time of the Lodge Charter Renewal which was due on December 31 of the calendar year before the meeting. O. Parliamentary procedure for all meetings will be in accordance with Robert’s Rules of Order. P. Only members in good standing, under the age of 21, and physically present shall have a vote in any decision of the Lodge. Q. The Lodge Executive Committee shall ensure that the Lodge plans and conducts the following activities, at a minimum. R. Special meetings of the Lodge Officers or Key-9 the LEC, or the General Membership may be called by the Lodge Chief with the approval of either the Lodge Advisor or the Scout Executive. S. The Lodge shall send, when possible, representatives to the National Order of the Arrow Conference and any other Section or National event. Lodge funds may be used help finance the trips of its representatives to any Section, Region, or National event, subject to the availability of funds and the approval of the Lodge Executive Committee. Completion of Brotherhood membership shall be in accordance with the requirements of the current printing of the Order of the Arrow Handbook and the Order of the Arrow Guide for Officers and Advisers. Attainment of the Vigil Honor shall be in accordance with the requirements of the current printing of the Order of the Arrow Handbook and the Order of the Arrow Guide for Officers and Advisers. A. All Order of the Arrow funds shall be handled through the council service center and go through normal council accounting procedures. B. Fees for Lodge events shall be set by the LEC after consultations with the proper committees. Once the fees for an event or type of event have been set by the Lodge Executive Committee, the Lodge Officers or Key-9 may waive any portion thereof for all participants upon good cause being shown to the Lodge Officers or Key-9. C. Dues shall be $15 per calendar year, payable to the Lodge Vice-Chief of Administration at any Lodge function or may be paid at the current Scout Service Center for the Georgia-Carolina Council Dues shall be due and payable by March 1 of each year. D. The Lodge fiscal year shall be January 1 through December 31. E. The Lodge shall use the cash method of accounting. All funds should be handled through the current Scout Service Center for the Georgia-Carolina Council. F. The Lodge Finance Committee and the Vice-Chief of Administration shall prepare an annual budget for modification and approval by the LEC. G. No expenditures, other than budgeted day-to-day expenses will be made without approval of a majority vote of the Lodge Executive Committee. A. The totem and call of this Lodge shall be that of the bob white quail. B. The sash shall be worn according to National Policy. C. The official Lodge flap design shall be the design known as the S91 and may only be altered by a majority vote of the Lodge membership present and voting at any General Lodge Meeting, provided that the design has been approved by the Lodge Executive Committee and sent to the membership at least ten days prior to the meeting in which the change is considered. D. The design for a Lodge neckerchief, hat pin, or any other specialty item shall be based on the design of the lodge flap, making a set. 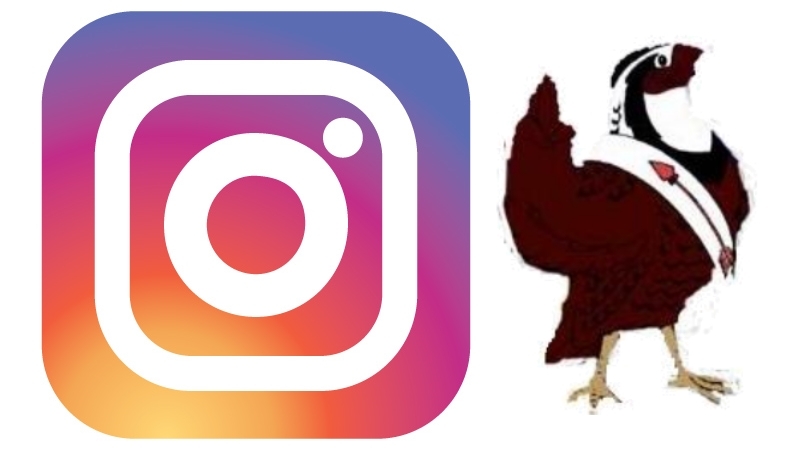 E. The production of any specialty item in which the logo of the Bob White Lodge is used must first be approved by the Lodge Executive Committee. 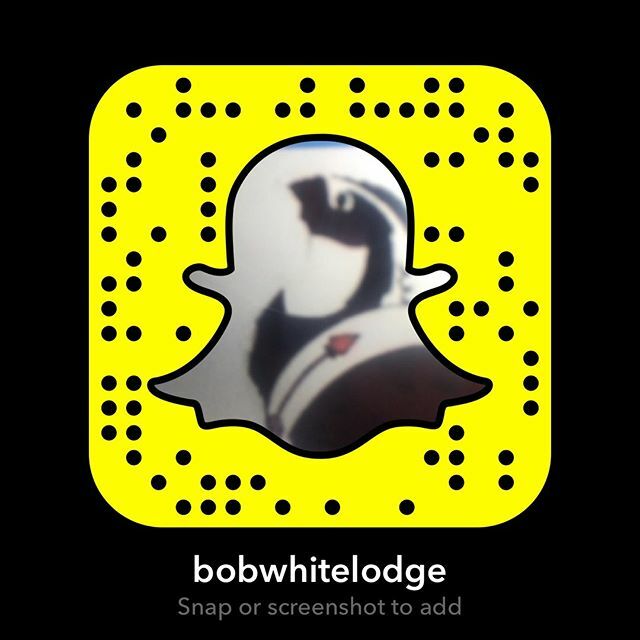 G. All Bob White Lodge insignia and specialty items will be sold only to Bob White Lodge members in good standing. One year after an event, the Lodge Executive Committee may authorize the sale of any Bob White Lodge insignia and specialty items in any manner or terms as it deems it advisable to encourage the liquidation of the excess inventory including to non-members. A. The use of any Lodge Property shall be governed by the LEC in the manner set forth in the Lodge Policy and Procedures Manual. B. Lodge property will be inventoried and accounted to the LEC at least semi-annually. C. Under no circumstances shall any Lodge property be given to any private person, persons, or concern. D. Should the Lodge cease to exist, all Lodge property shall be given to the Georgia-Carolina Council or the local Scout camp. In no instance shall any Lodge property be given to any private person, persons, or concerns. E. Should the Lodge or Council be involved in the merger with another Lodge(s) or Council(s), all Lodge property shall accompany the Lodge in the merger and become the property of the new Lodge. In the event that this results in a division, the Lodge property will be divided among the new Lodges by the Bob White LEC. The Lodge will present, each year at the Annual Banquet, several awards. The recipients of these awards will be selected by an Ad Hoc Awards Committee appointed by the Lodge Chief with the approval of the Lodge Advisor and Staff Advisor. 1. The J. Rucker Newbery Service Award shall be presented annually to one youth and one adult who have had a minimum of three years service to the Lodge, multiple years in Scouting, and service in a Lodge leadership position. 2. The Arrowman of the Year award shall be presented to the youth who has rendered the most outstanding service to the Lodge in the past year. 3. The Founder’s Award may be presented annually pursuant to the standards, policies, and procedures as promulgated by the National Order of the Arrow Committee. 4. The creation of new awards is left to the discretion of the Lodge Chief with the approval of the Lodge and Staff Advisor. These rules shall be subject to amendment at any regular or special meeting of the General Lodge provided the following requirements have been met. 1. The amendment must have been submitted to the LEC and approved by them at least one month prior to the General Lodge Meeting at which the amendment is to be considered. 2. Notice must have been sent to all active Lodge members at least ten days prior to the General Lodge Meeting in which the amendment is being considered. 3. A two-thirds vote of all the voting members of the Lodge present at this meeting shall be required for any amendment to be adopted. A. All matters not specifically covered by these rules shall be governed by the current printing of The Order of the Arrow Handbook, The Guide of Officers and Advisors, and national directives. B. Should there be a dispute as to the proper interpretation of these Bylaws, the dispute shall be resolved by a majority vote of the Lodge Executive Committee subject to approval by the Supreme Chief of the Fire or his designee as to the whether the interpretation is consistent with the policies and procedures of the Boy Scouts of America. C. Should any Bylaw or Standard Operating Procedure be in conflict with the written rules, policies, or regulations of the National Council of the Boy Scouts of America or the National Order of the Arrow Committee or the interpretation of said written rules, policies, or regulation by the Supreme Chief of the Fire or his designee, the national rules, policies, and procedures shall control.